It’s never too early to start a bucket list and in my last trip to the United States (Aug 09) I was able to mark off two. The first was to ride over the Golden Gate Bridge and the other was to ride the length of the Ocean front walkway from Santa Monica to Marina del Rey (will be covered in a future post). They aren’t long distance bike rides but time goes quickly when you stop to take photos, admire the view, shop and eat. This is a 13km ride, starting at the iconic Fishermans Wharf on the waterfront of San Francisco. First stop is the McDowell Road Wharf which is predominately used as a fishing pier as well as a running, walking and bike track. 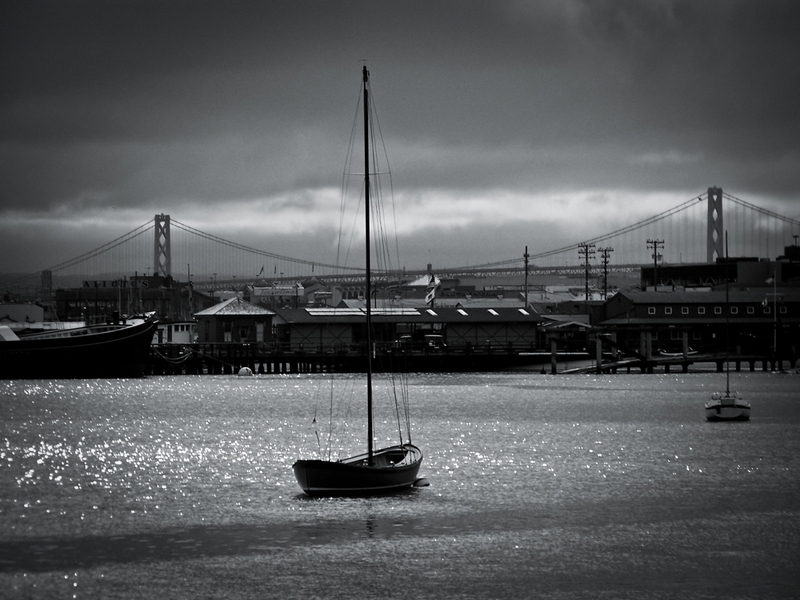 Its a dead end but gives nice views of the Bay Bridge and Golden Gate (weather permitting). 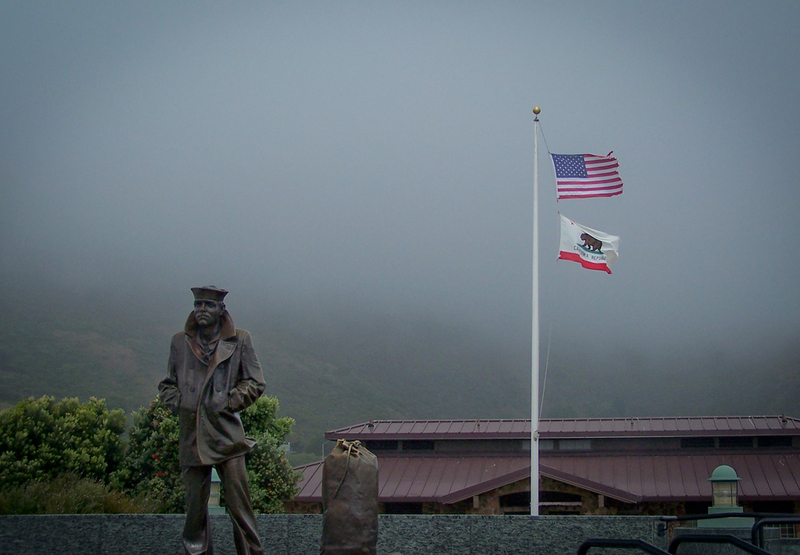 I couldn’t see the Golden Gate at all from this lookout because of the bad weather that morning. Then its the extremely steep hill of Fort Mason where its best to blend in and walk your bike up with everyone else. You’ll soon freewheel through the breezy flats of Crissy Field that hugs the coastline beach. Warming Hut San Francisco California. 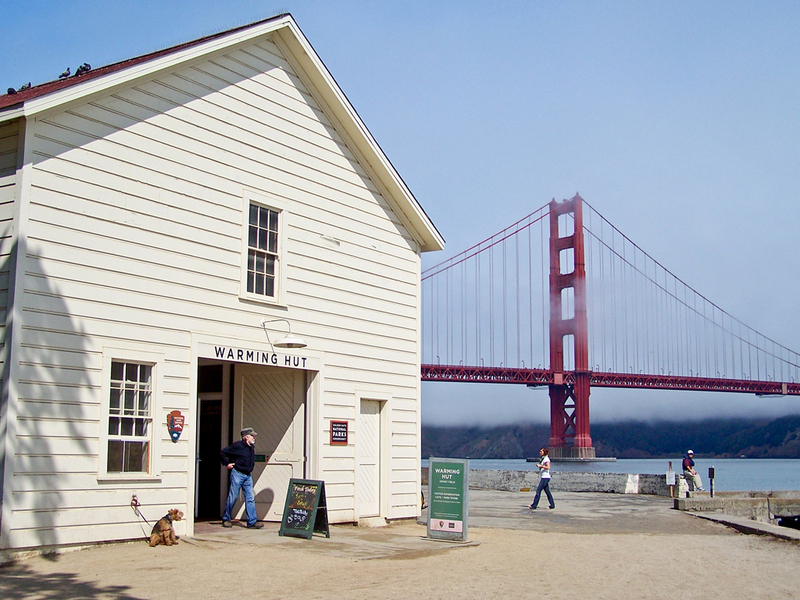 The Warming Hut is a nice place to have a breather, refreshment and soak up the view of the Golden Gate which should now be in full view regardless of the clouds and fog. Rest those precious calf muscles because there is a ripper winding hill from Fort Point to get you from sea level up to the Golden Gate Bridge. The Golden Gate Bridge isn’t flat either as its a suspension bridge, its a slight uphill to the middle and then a slight downhill to the other side. Unfortunately there is no separate bike and pedestrian path like on the Sydney Harbour Bridge, so its very easy to collect dawdling walkers. Vista Point Overlook San Francisco California. Vista Point Overlook signifies you have arrived over the bridge and are now in official Marin county territory. Vista Point should give you a great angle view of the GG looking south and glimpse of the city. Vista Point is crammed full of tourist buses doing 10 minute stop offs and photo opportunities so be prepared to share the space. When you turn off the 101 highway (runs across Golden gate Bridge) on to Alexander Ave its virtually a down hill run all the way into Sausalito. It’s a very narrow gutter bike path so you have to be alert with the traffic. I got to 55km/h for almost a kilometre, which gave the legs a nice rest but wasn’t enjoyable in the sleeting rain and headwind. 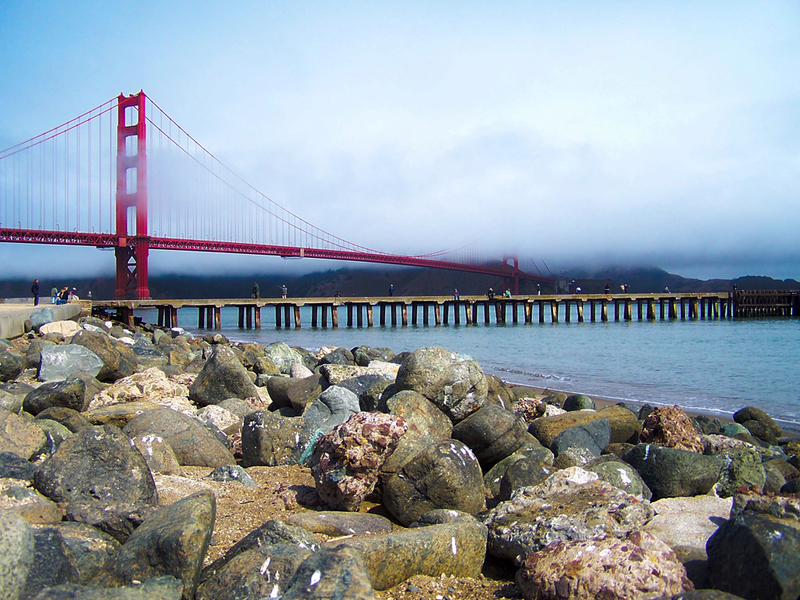 To my surprise I arrived in Sausalito to a beautiful blue sky day – it was just perfect. I did harbor plans to cycle on to Tiburon and catch the ferry back to SF from there (a further 14km) but it was already past 1pm and Sausalito looked so lovely I decided to spend the afternoon. I had lunch in an artisan bakery/delicattesan called Venice where they served Boudin sourdough from downtown with chipotle turkey and my favourite orange American Cheese. 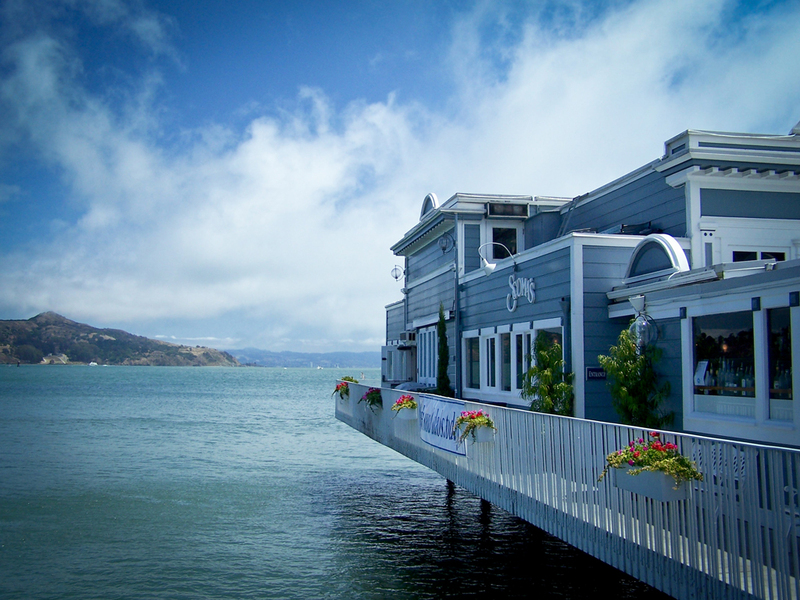 The main street in Sausalito is Bridgeway which is home to a range of boutique clothes, gift and gourmet food shops and eateries. Bridgeway has the same feel as Main Street in Santa Barbara but is less pretentious. 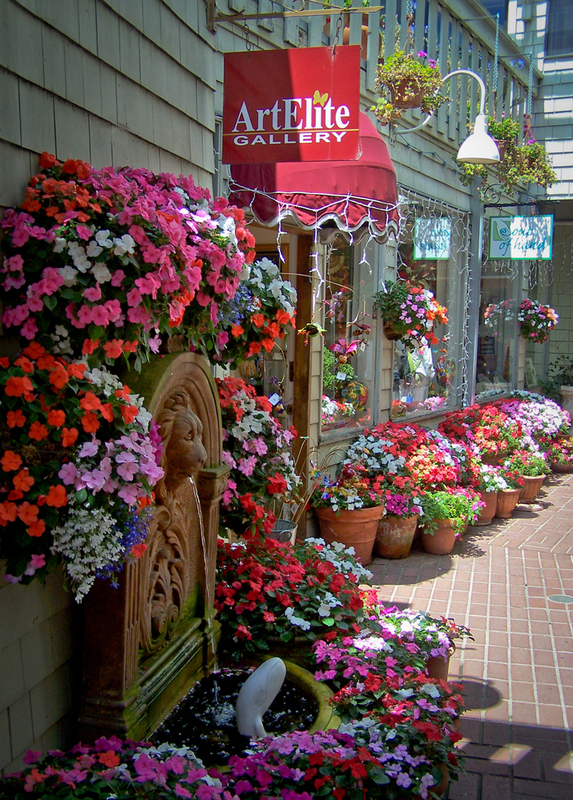 Off the main street there are beautiful paved alleys filled with hanging baskets of begonias and impatiens with doors opening up to art galleries. Peter Romanowsky Diamond Dog Sausalito. You’ll only encounter the soul of Sausalito when you are queuing for the ferry back to the city with the hordes of other cyclists who’ve made the same journey. 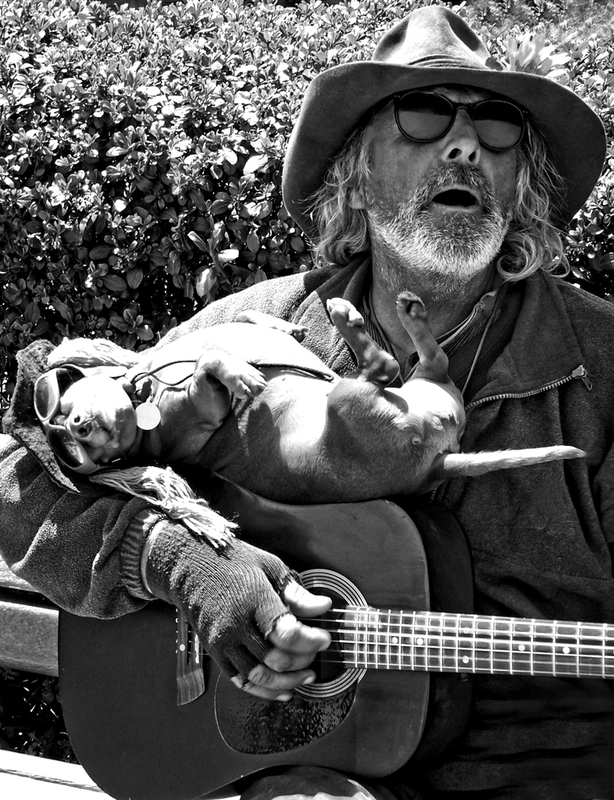 There you’ll find a busker with his little Dachshund (Diamond) sitting a top his guitar and playing with the help of the dog’s legs. The guy is a character and the little sausage dog slightly aggressive! When I came home I tried to find out who he was. He is Peter Romanowsky who is a Baptist Minister and also had a run for local Marin county politics in the 90’s. Peter busks most afternoons and is worth getting to the ferry terminal early for. Video credit: candydoqui. There are a range of bike rental places to choose from. Whatever you do pay the extra few dollars for the bike insurance. I’ve heard of minor damages costing renters $500+ to repair because its quoted in-house. Knowing your luck you’ll scuff the bike on something along the way. Be careful of hold deposits put on your credit card. The more expensive your bike the bigger the hold, it can be up to $2000 for a tandem bike. Depending on your card it could take days or weeks to reverse the hold meaning you can’t use the card for anything else and it can seriously stuff your holiday. On the way to the Golden Gate Bridge, stop off at the Warming Hut for a delicious freshly squeezed juice and enjoy the view. There are also a lot of toilets here that are less busy than the Fort Point tourist stop. It will be your last pit stop until the other side of the bridge. 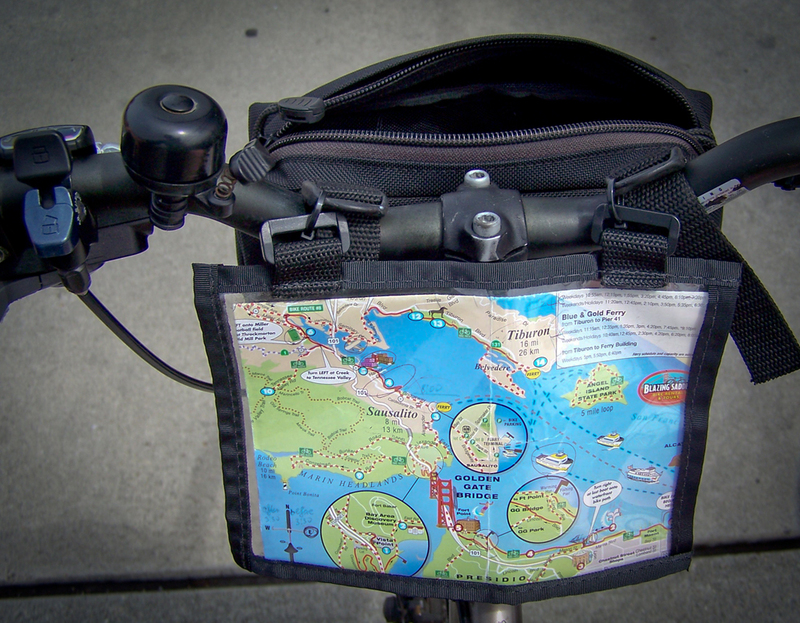 Tie something on your bike so you can recognise it when you return. There were at least 200 other rental bikes locked up at the Sausalito wharf bike racks. Don’t rush to be the first in the queue for the ferry back to San Francisco. If you are first in, all the other hundred bikes are going to be stacked up against yours and you’ll be last to get off. San Francisco Pier Bay Bridge. 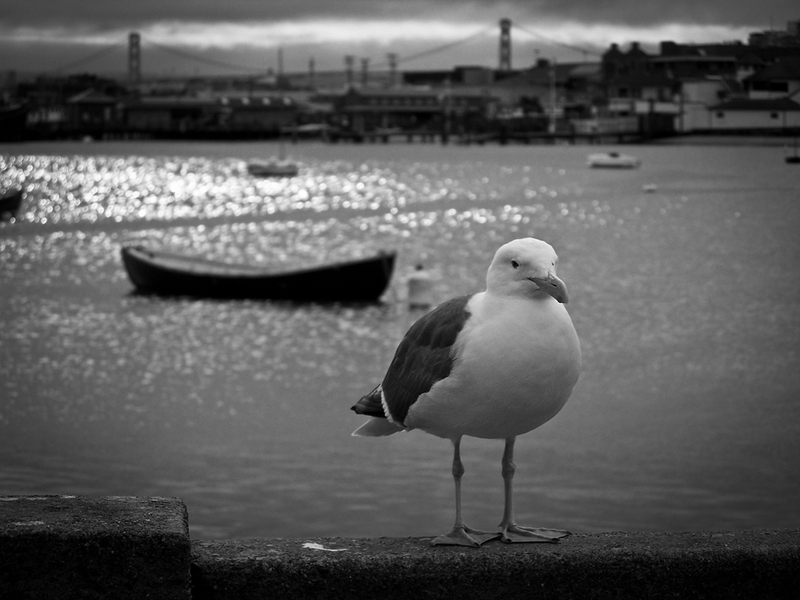 L Shaped Fishing Pier San Francisco Golden Gate. 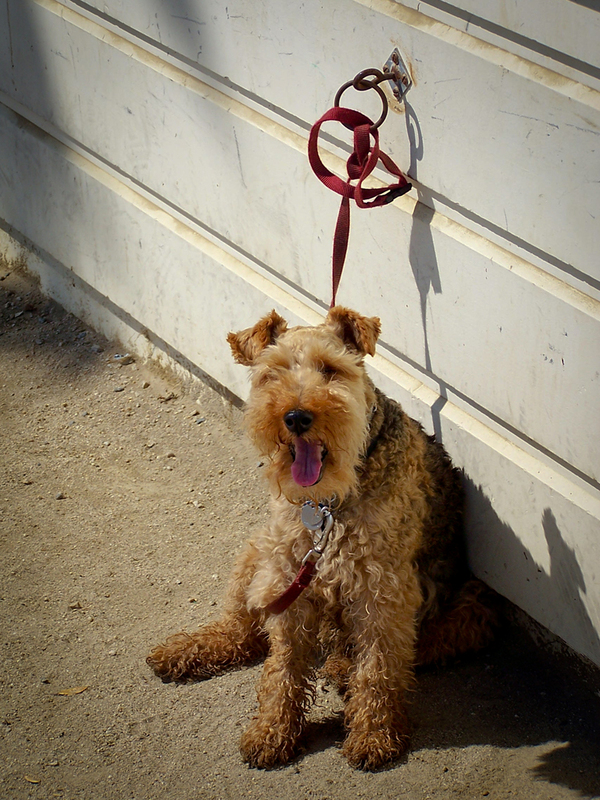 Airedale Terrier Warming Hut San Francisco. 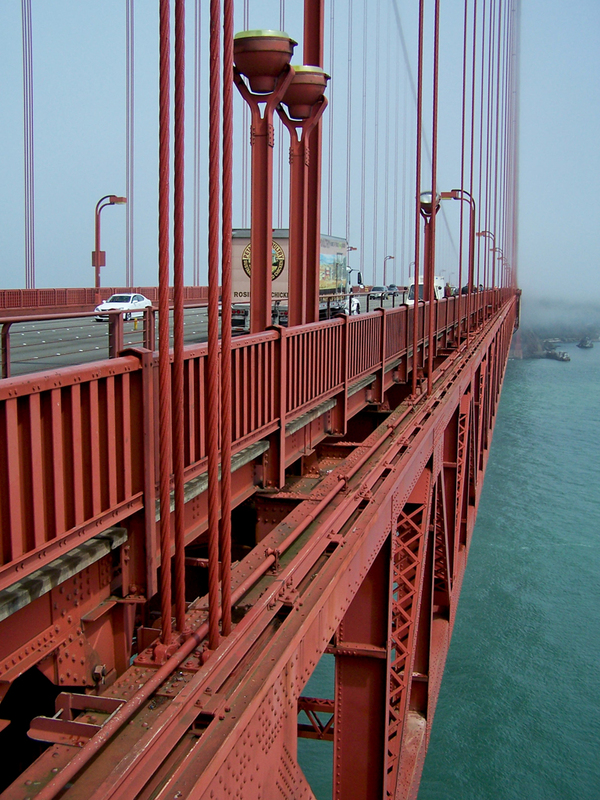 Golden Gate Bridge Cables San Francisco. Bike the Golden Gate Bridge San Francisco. « This Blog turns 1 today. Here are some 2010 statistics.